With twenty-three years in the healthcare industry, Dr. Reynolds offers valuable insight in his role as COO of Kaviva. Kaviva (formerly Sensei) provides an innovative digital engagement platform to motivate and empower consumers to drive their own well-being. The company offers solutions for health plans, hospitals, employers, providers, and other health organizations to target and engage individuals for a variety of health concerns – weight loss, diabetes, hypertension, smoking, cardiovascular risk, stress, and asthma, among others. As COO at Kaviva, Dr. Reynolds is responsible for leading the company’s overall operations, including product development, compliance, health services, client management, marketing, and administration. 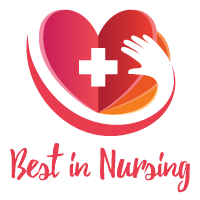 Following graduation with his Associate’s Degree in Nursing from Florida State College at Jacksonville in 1999, Dr. Reynolds earned a Bachelor’s of Science in Nursing, as well as an MS in Nursing Administration from Jacksonville University in 2006. He went on to complete a PhD in Nursing Science from the University of Florida in 2013. While studying there, he focused his research on health behaviors as well as digital health tools and age-related differences in their adoption. Dr. Reynolds also holds a Health Fitness Specialist certificate from the American College of Sports Medicine. To stay abreast of the latest in his field, Dr. Reynolds maintains memberships with The American Nurses Association, The American College of Sports Medicine, and The Society of Behavioral Medicine. 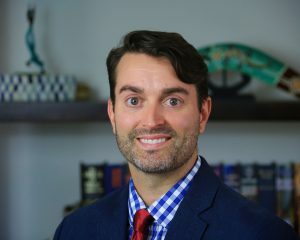 Dr. Reynolds became interested in the nursing profession as a Corpsman in the Navy, where he was inspired to attain his registered nursing degree. Looking back, Dr. Reynolds attributes his success to his ongoing dedication to lifelong learning, family support, and passion for making the world a healthier place. As a testament to his success, Dr. Reynolds has published work on a variety of topics, such as technology and healthcare engagement in aging, technology in health education, technology design in frailty, digital health applications, and technology in population health programs. He is also a nationally recognized thought leader on health technology and sits on several leading committees, including The Digital Health Council for The Society for Behavioral Medicine and The Population Health Alliance (PHA) engagement committee. Additionally, Dr. Reynolds is a frequent national speaker on health, well-being, population health, technology-mediated health behavior and the use of digital coaching tools to improve health. He has also shepherded the development of multiple award-winning mobile health applications and population health software platforms. In his free time, Dr. Reynolds enjoys sculpting bronze and scuba diving with his husband. He also gives back to the community through volunteering in Health Education. Considering the future, Dr. Reynolds aims to continue growing Kaviva and promoting digital health. Kaviva bridges the gap between you and your members, patients, or employees in a way that’s meaningful. We’ve transformed the digital behavior change model by building a secure, integrated, omnichannel PaaS engagement solution for health plans, hospitals, employers, providers, and other health organizations. We help you target and engage individuals through personalized interactions for different use cases, such as: disease management, well-being, communications and education, thereby increasing healthcare organizations’ revenue and renewal rates, as well as improve quality of care delivery and cost efficiencies. Our highly scalable, customizable, multichannel outreach and engagement system offers easy and seamless integration to help you close care gaps, reduce churn and achieve positive health outcomes to stand out in your marketplace.